Reward offered for info leading to arrest of robbery suspect | Crime Stoppers of the Lowcountry: 554-1111 | 1-888-CRIME-SC | Anonymous tips earn cash rewards with Crime Stoppers of the Lowcountry. NORTH CHARLESTON, SC (WCSC) - There is now a $2,000 reward being offered for information that leads to the arrest of the person who fired shots during an attempted armed robbery at a Circle K in North Charleston. It happened just before 4 a.m. on Thursday at the store on 3855 West Montague. The victim told investigators that a man came in, pointed a gun and told her to put everything in the bag. Officers say the suspect got angry and fired a round into the wall behind the victim. The suspect then threw his duffle bag at her, walked around to the side of the counter, grabbed Newport cigarettes and threw them on the floor. The man didn't leave with any money. Investigators describe the suspect as a light skinned black male with a thin build, 5'10, wearing a light grey or light colored button up long sleeve shirt, camouflage gloves with black wrist band ends, denim blue jeans, black shoes and a dark in color tight fitting cap. 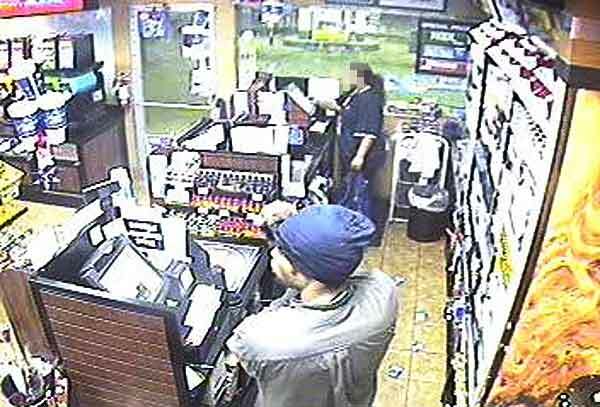 Police officials say the suspect is also believed to be involved in several business robberies in North Charleston since June 2012, which includes a Circle K robbery on July 1. If you have information you are asked to call police at 554-5700 or Crime Stoppers at 554-1111.